Run as fast as you can – the bay is endless [life is always completely opened up to fulfill ones’ desire – it’s you who needs to find a way to fit in properly into its arms. When was the last time you actually felt livelier [free from all the components of the materialistic world]? Do not allow a year to pass like just another day – search for the sources that can bring some really exciting tune to the music of your life. Sing out loud [express all the sorts of emotions – this time try a quirky method; instead of revealing your desires in front of a living being, just run into the beaches and share a talk in the presence of natural elements and mind my words – the waves will definitely serve with a set of answers to your heartfelt questions. Country India is blessed with all the significant elements – the Mother Nature continuously serves the residents as well as the visitors with the finest of all it is made up of. We all are surrounded by various sets of people who are different from one another in their own way; same is the case with numerous tourist destinations of nation India – every place seeking attention is equipped with distinct qualities [some are known for exhibiting the traditional aspect of India| few are capable enough to reveal the striking history| the rich lands of India is blessed with prominent pilgrimage sites| some of the holiest rivers flow in the arms of this happening country namely the Ganges, Yamuna and Saraswati| enticing hill stations| magical beach sites [known for partying, relaxing, swimming, water sports, sunbathing etc]. It doesn’t take a lot to live a coastal life for a couple of days – all it requires is a wish or say an unshakeable determination. Do not bound or push yourself down with the heap of questions and responsibilities –we all have all the rights to make the most of our lives. This is your time to multiply more worth to your existence [stroll around the top beaches in India – have delicious coastal food| wear some funky clothes| indulge into exciting water sports| go shopping in the busiest market streets| enjoy every bit of the musical night| dance on the tunes of happiness| relax by the beaches| make new friends and understand the distinct featured facet of life that can be yours if you wish to go for it. When it comes to living the beach life or say a coastal life then no place can do more justice than the party capital of India [GOA]. Pay a visit to a state that is situated within the coastal region referred to as the Konkan adding recognition to western India. Mark your presence at the largest beach lying in the northern region of Goa [thousands of domestic as well as international tourists make their way to this enticing beach site]. New Year and Christmas are considered as the peak tourist seasons – this place of attraction hosts a grand party wherein the visitors get an opportunity to live the finest of a beach life [hard-rock music| glittering lights shining brighter in order to break the darkness of the nights| a plate full of mouth-watering coastal food etc – the picture of your trip can change completely if you are traveling with the love of your life. One of the most impressive and imposing sites lying on a greater extent in the northern region of Goa. 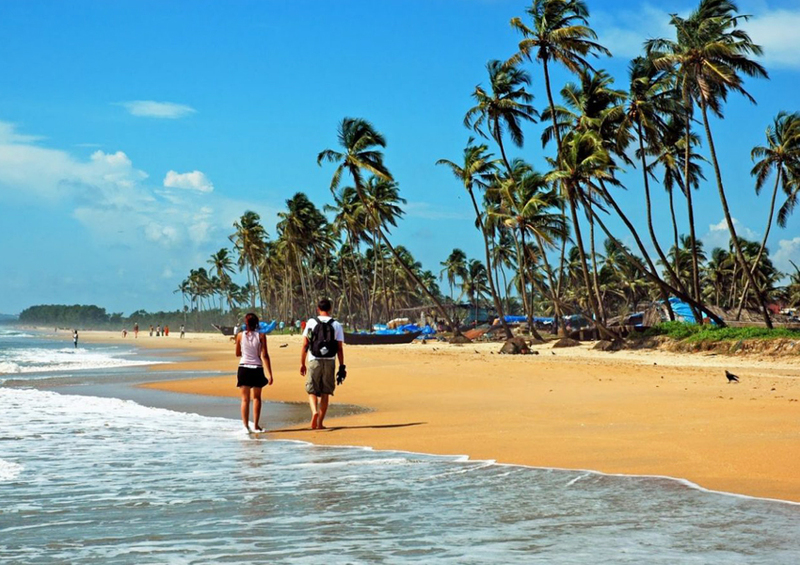 Once you make it all the way far to this adorable state – set the wheels in motion and follow a path that leads to a compelling beach site addressed as Candolim [this happening beach lies 15 Kilometers away from Panjim [the capital of Goa]. It’s one of the longest beaches residing with huge pride in the state of Goa beginning at Fort Aguada and merging perfectly with the Calangute Beach. Explore the scrub-covered dunes situated at the backdrop of the beach – pay a visit to this mesmerizing beach site with your friends and family. 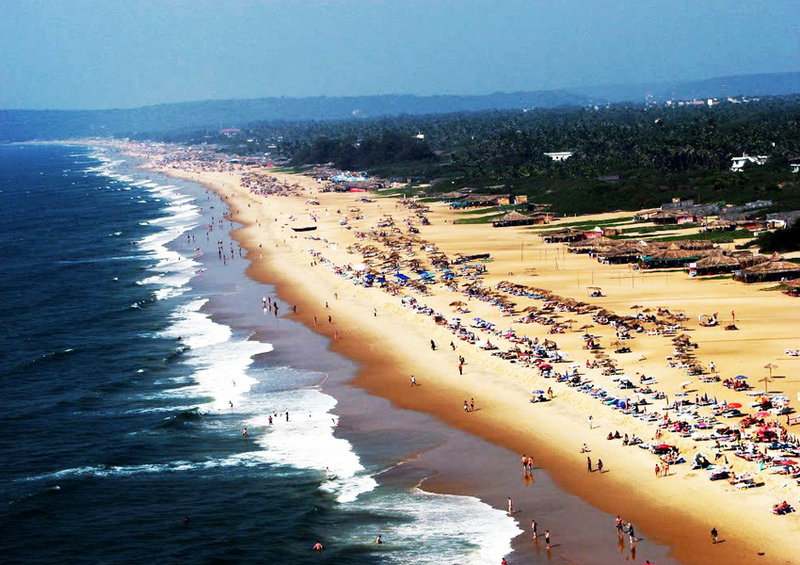 Do make sure to stroll around the main Candolim-Calangute road as it’s completely packed with various attention-seeking shops and restaurants. One will definitely fall in love with this place as it rests amazingly in the arms of nature [travel back home with a heart full of sweet memories]. Make your way to this happening beach, which can easily introduce you to a whole new world that resides in the blue [deep waters]. 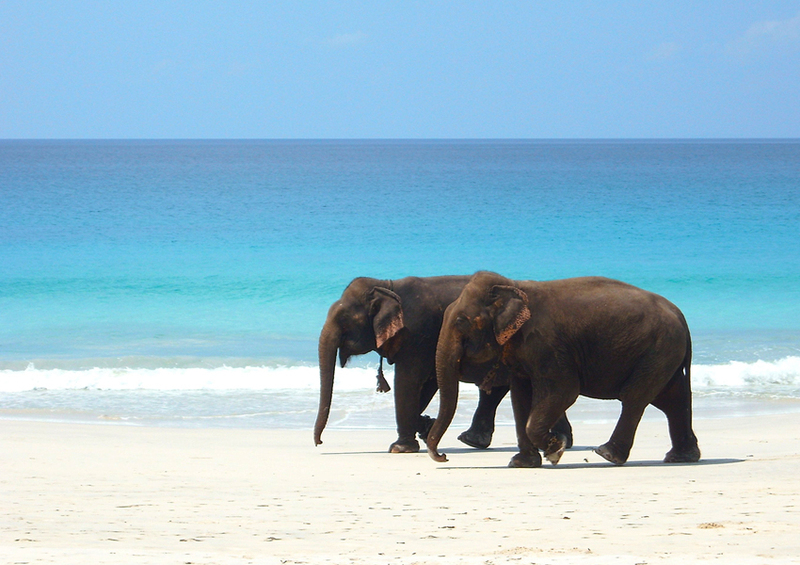 The elephant beach lies on the northwest coast of the Island best-known for serving its visitors with an exciting water sport known as Snorkelling [the best place to witness the distinct featured living beings making a livelihood in the waters]. Explore the quirky coral reef [diverse underwater ecosystem] – with your keen eyes witness the colonies of tiny animals found in the marine water. With your visit to this wondrous Island – you will surely be amazed by the unique featured life residing in the deep waters [witness a whole new world adding charm of this motherly nature]. 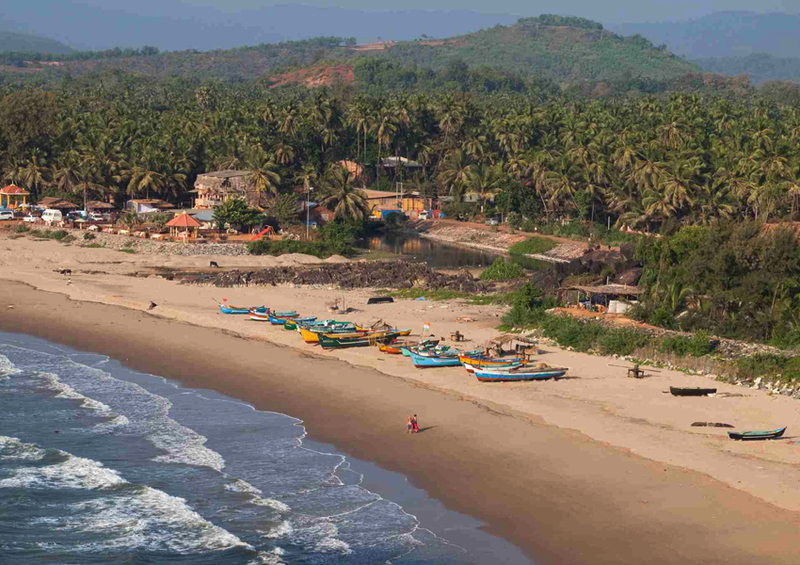 Make your way to the west facing Gokarna main beach, which is majorly visited by the Indian pilgrims. It’s a long open beach best-known for serving its visitors with an adventurous activity known as surfing. Once you make your way to a small temple town situated on the western coast in the Uttara Kannada district of the state of Karnataka then do make sure to pay a visit to some other happening beach sites as well namely Om beach, Paradise beach, Half moon beach etc. Come! Fall in love with the authenticity and purity of this temple town that is also gifted with some pristine beach sites. When your mind is thoroughly blocked or you are not really sure as in where do you belong or which direction to follow next!!!! Just set your mind free from all the worrying thoughts for a while – pack all the traveling essentials and go living by the waters. Set the ultimate destination in the gadget of direction provider and turn the wheels in a direction that leads to the Ganpatipule beach lying in a small town situated in the Ratnagiri district on the Konkan coast of the striking state of Maharashtra. To add more to your information this striking beach is adorned with distinctive red sand and shallow water [this beach site is closely situated to the Jaigad Fort – approximately 35 Kilometers]. One can please their eyes with a panoramic sunset view [as this is the time when the red sand complements perfectly with the dark shades of the sun]. 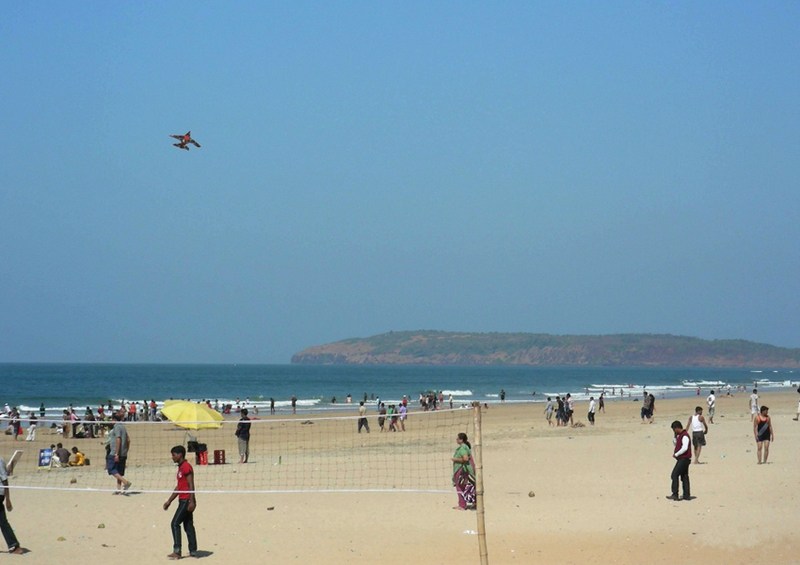 Just make your way from the port city of Ratnagiri and explore the finest of this enticing town ornamented with a quirky featured beach destination. Run into the arms of charm – pay a visit to a beach lying in the Alappuzha district of the marvellous state of Kerala, It’s easily accessible from the happening town of Alleppey [only one has to cover a distance of 11 Kilometers]. This beach site exhibits a picture perfect destination especially two times of the day – one is when the sun gets up and the other is when the sun goes down. Explore the palm-lined shore and watch the fisherman setting off into the time of sunset. To expand the level of knowledge let us tell you that the Marari beach was rated as one of the World’s top five HAMMOCK BEACH by the National Geographic Survey. Some places share a great sense of belongingness same is the case with this beach site instilled with the warmth of love and care. One can sit for hours in silence and enjoy the calmness of the refreshing air. 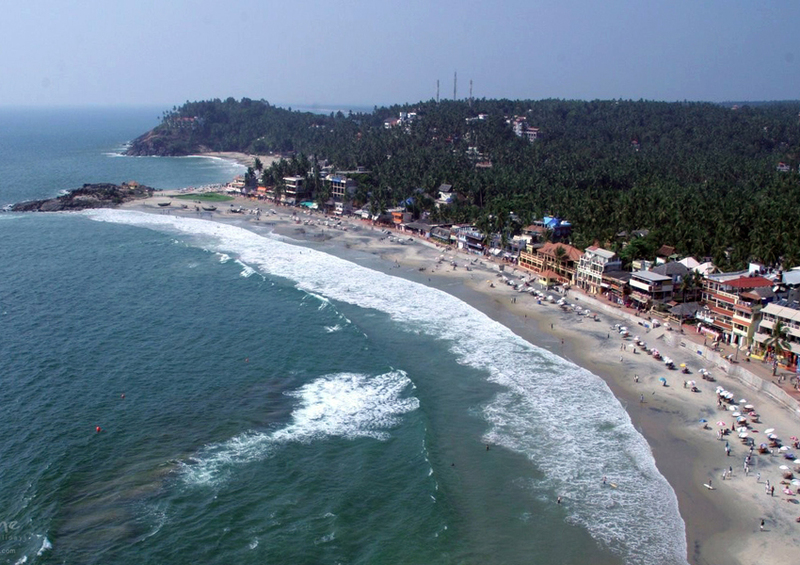 Kovalam is a teeny-tiny coastal town situated in the stunning state of Kerala [south of Thiruvananthapuram]. One can explore a delightful view of the Lighthouse beach situated at the Southern end. One can make the most of a coastal life by witnessing the passing beauties like the Palm packed shorelines of the Hawa Beach and Samudra Beach| explore the bustling fishing harbor etc. Wear light weighted clothes and wander around the wondrous shorelines showering the pure essence of nature – sit for hours with your friends and family or say play around with your kids at the sandy beaches. Walk by the encircling regions adorned with coconut trees – dance on the beats of joy [live your life to its fullest]. Be your own hero – step out from your comfort zone and explore a whole new world residing just around the corner. 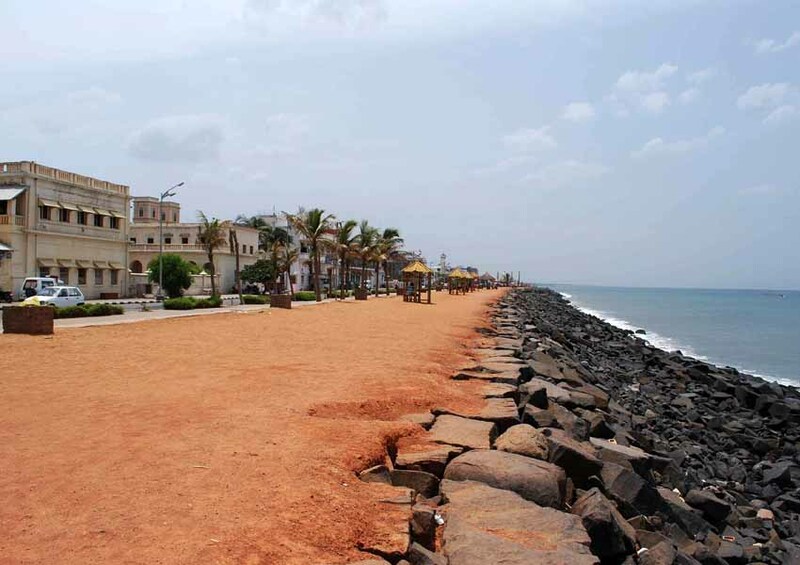 This enticing beach is the popular stretch of beachfront in the lovable city of Puducherry – spread at a distance of 1.2 Kilometer-long starting from the War Memorial to the end of the Dupleix Park on the Goubert Avenue. One can get the best view of this fabulous beach by standing at the light-house. Witness the French war memorial| explore the huge pillar – visit this compelling beach especially two times of the day [Sunrise and Sunset]. The activities you can get involved in at this amazing beach site are – Sunbathing| Canoeing| Backwater Sailing and Kayaking. 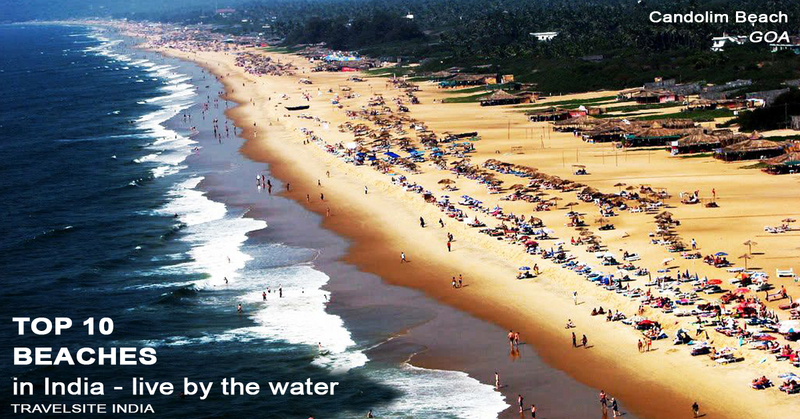 Rush into the arms of a natural urban beach lying on a huge extent in the city of Chennai along the Bay of Bengal. This beach is packed with domestic as well as international tourists throughout the year [a lively beach]; it runs from the near Fort St. George in the north of Foreshore Estate – making it the longest natural urban beach residing in the vicinity of country India. 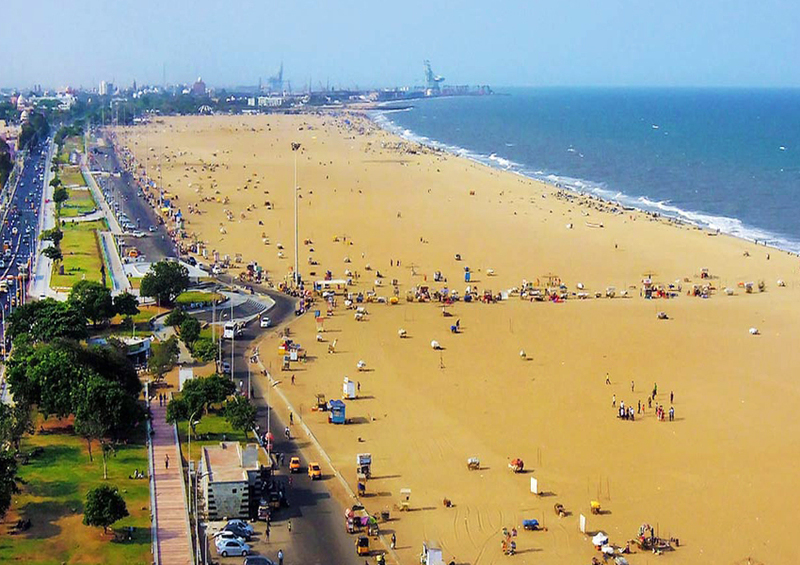 And YES the Marina beach is also considered as one of the World’s longest beach ranking with 1. Make your way to one of the bustling beaches of India spread with an average width of 300 meters and width with the widest stretch is 437 meters. The day view is superb but the night view of this beach is truly magical – do make sure to visit this remarkable place in the nighttime as well. 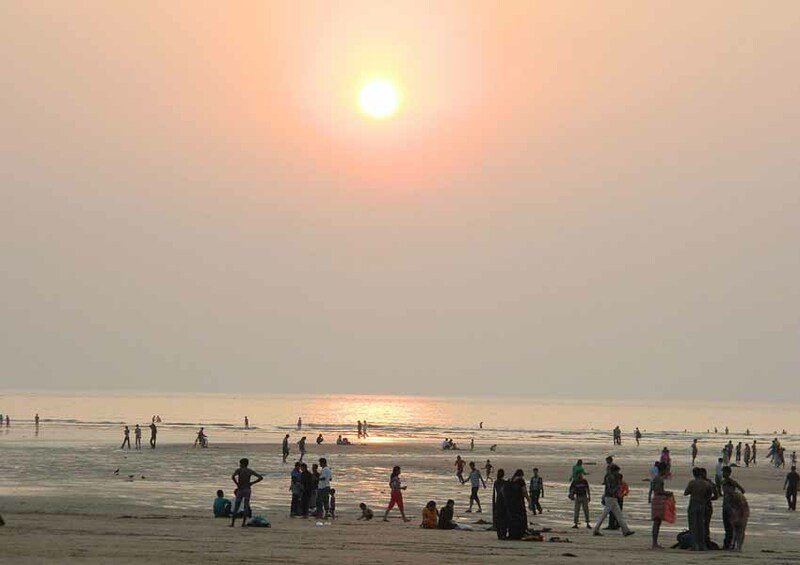 The dream city of country India [Mumbai] serves as home to a really famous beach in the village of Aksa at Malad. This beach site is situated close to the Malvani – one can opt Aksa Beach as the perfect spot to make the most of their weekends. 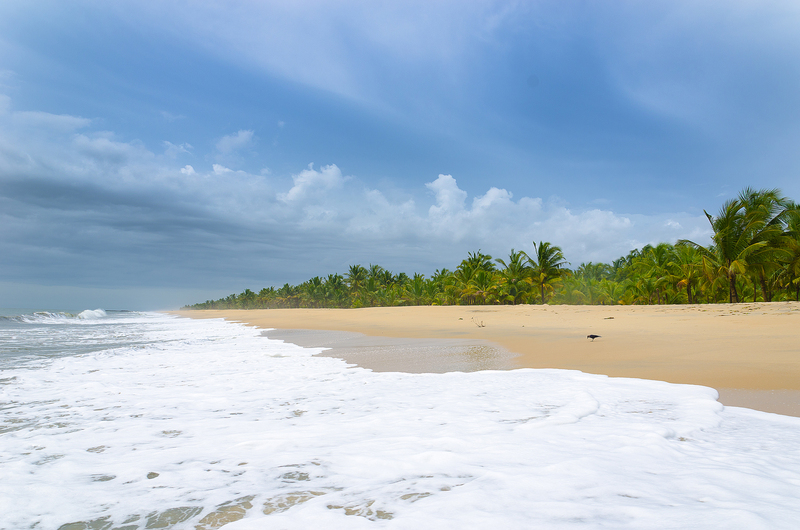 Once you visit this place make sure to keep certain things in mind – Quicksand is found in the waters of this beach, which is really risky| the waters of this beach also face rapid changing tides so make sure to stay a bit far away from the shoreline. Country India is always ready to greet your presence at any time of the year – you can spend n. number of days exploring the beach sites, which makes this country hold a perfect landscape. Explore the various regions of India especially the western and the Southern parts that are adorned with few magical beaches [offering its visitors with various exciting opportunities – water sports| swimming| sunbathing etc. Plan a trip to India and witness the wondrous beauties in person. includes remarkable and actually excellent stuff in support of readers.